We start to define an empty Class (named Util) by a constructor and then we add to it our functions. These are “static” like functions which are always available, without the need to create an instance of the class Util (with the new operator). I save the above code in a util.js file (file name = class name). How to use the utility functions ? 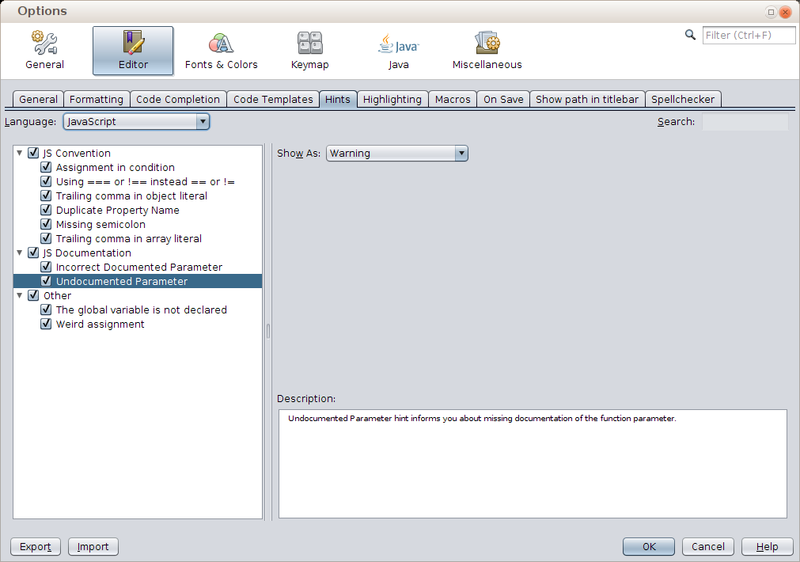 Let’s start with NetBeans native capabilities. 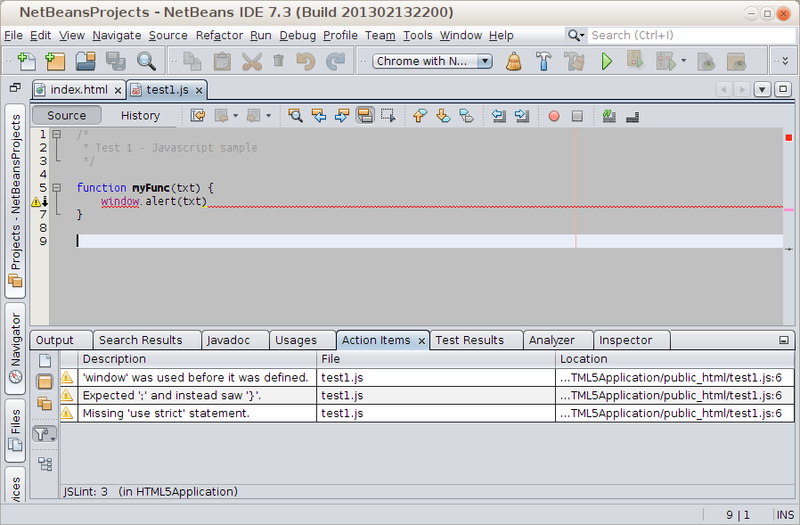 In the Tools -> Options -> Editor -> Hints we can find all NetBeans code quality checks, divided by language. 2. 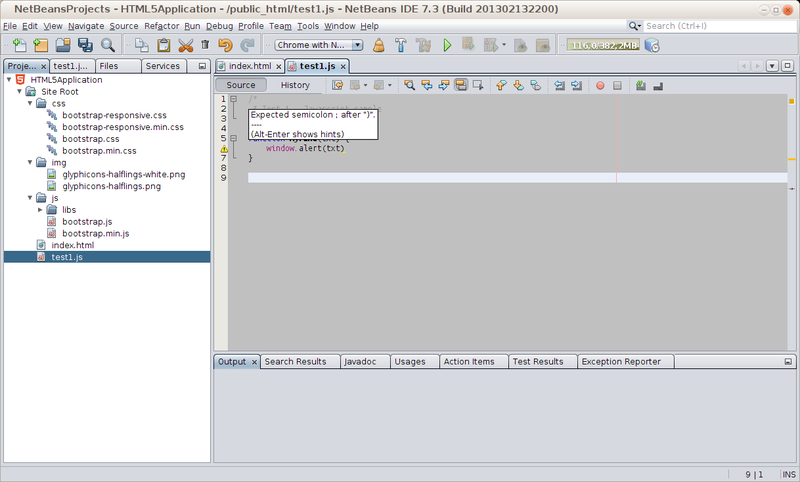 Open the Plugin window in NetBeans (Tools -> Plugins) and click on the “Downloaded” tab. 3. Click on “Add Plugins” and select the downloaded file. 4. 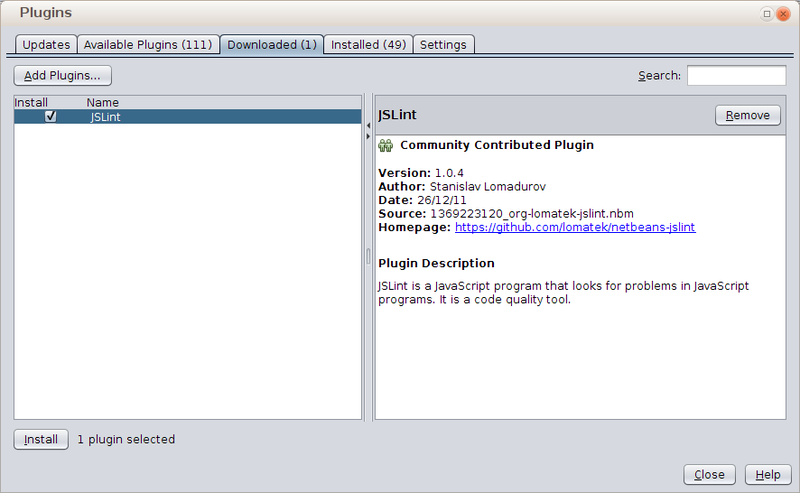 Press “Install” to start JSLint plugin installation. After installation, we can go back to our file and check it now with JSLint. 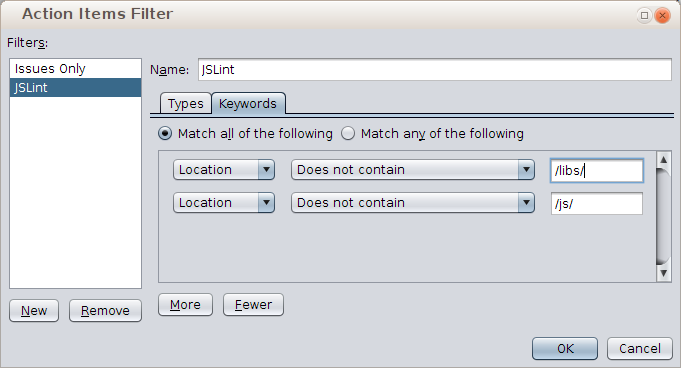 Open the context menu (right mouse click) and select “JSLint”. In the Action Items window, we find all errors detected by JSLint on our file. 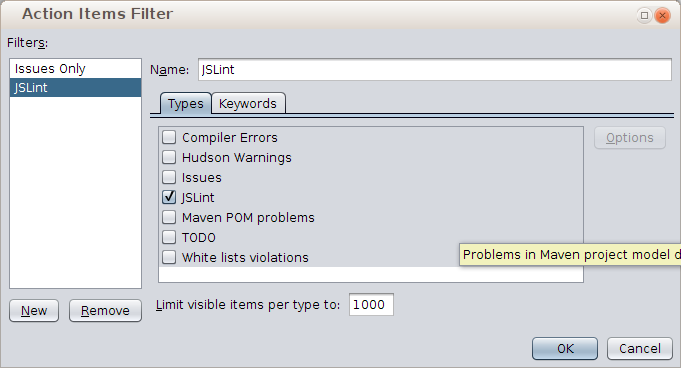 As we can see in the picture, JSLint is more restrictive than NetBeans, showing more errors (3 in our small example). For the complete and reference list of JSLint checks please refer to the JSLint author page. Basically I limit line length to 80 characters and define window as global variable. The approach I use is quite standard and it can be summarized in few rules. If possible, variables should be defined inside functions. Global variables (defined in the same .js file but outside any function) should be used only if there are no alternatives. These kind of variables should be defined at the begon of the file and with a relevant comment. External variables (defined in other .js files) should not be used (even if this is not always possible). gl is a global variable. It is defined and commented at the the begin of the file. lc1, lc2 and i are all local variables, defined inside the myFunc function. I have used only one var statement for all the local variables. This is also the preferred JSLint solution. It is also acceptable to use one var instruction for each variable. Here what it is important is to be coherent and to use the same solution among all project files. Unfortunately this freedom can create situations which are not only difficult to manage in the mid and long terms but also they may work worst than better organized equivalents. There are few rules which we can follow to improve the quality and, at the same time, the performances of our projects. This strategy creates files with clear meaning and contents. 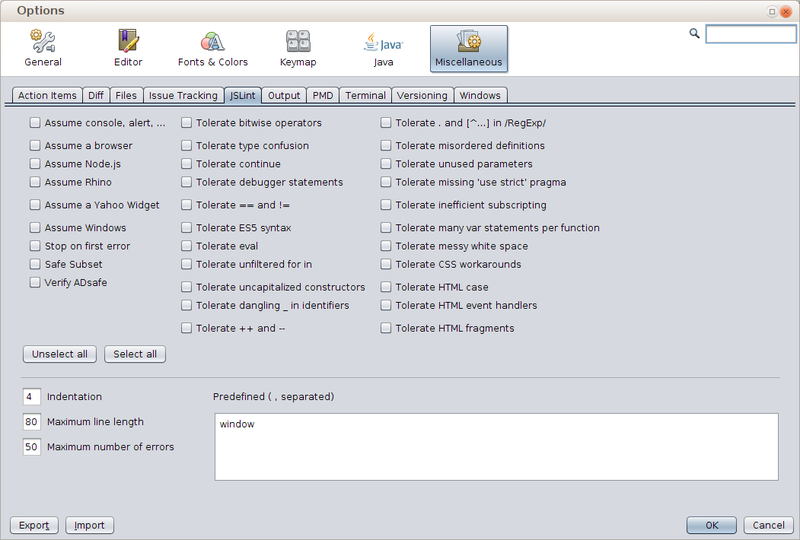 Development is easier thanks to the support of HTML editor and IDE like, for example, recent Netbeans 7.3. Pages are easier to update, even by other programmer, because of clearer structure. In the code above, the CSS rules have been placed in the style.css which is in the css dir. The css dir will contain all our CSS files. The CSS files should be included with a link tag inside the head tag. Note: the head tag usually contains other information not included in this fragment. The target is to keep our project structure clean and clear; the /ext contains everything which has not been created by us. A final but very important remark: the script tag(s) in a page should be placed at the very end of the body tag. Not at body tag begin, nor inside head tag.